This eBags Anti-Theft Crossbody lists at $84.99, but you can get it for $32.99 when you follow our exclusive link to eBags. Shipping is free. That's the best price we can find anywhere by about $3. Choose from five colors. Sales tax is charged in most states. This SwissGear Scansmart Laptop Backpack lists at $180, but you can get it for $47.99 when you follow our exclusive link to eBags. Shipping is free. That's the best price we've ever seen for this style, and the discount is only available to readers at Brad's Deals. The backpack is made with ballistic polyester. It has a tablet pocket, laptop compartment, and multiple storage pockets. It has an average rating of 4.6 out of 5 stars from more than 6,100 ratings. Sales tax is charged in most states. 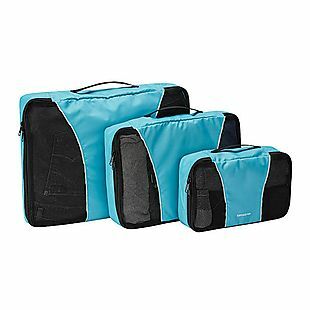 This 3-Piece Samsonite Packing Cube Set lists at $40, but you can get it for $21.99 when you follow our exclusive link to eBags. Shipping is free. That's the best price we can find anywhere by about $9. Each of these organizers has a handle. They also have mesh tops, so you can quickly see whats inside. Sales tax is charged in most states. This eBags Professional Weekender Bag lists at $169.99, but you can get it for $84.99 when you follow our exclusive link to eBags. Shipping is free. That's the best price we can find anywhere by about $5. The backpack has a fleece-lined tablet sleeve, a removable crush-proof cord compartment, and a padded laptop compartment. Sales tax is charged in most states. 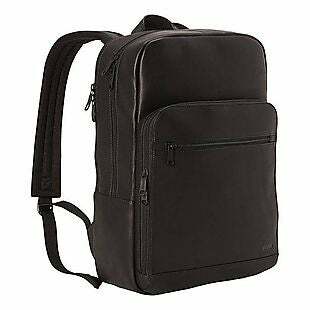 This eBags Slim Colombian Leather Laptop Backpack lists at $149.99, but you can get it for $69.99 when you follow our exclusive link to eBags. Shipping is free. That's the best price we can find anywhere by about $60 for this style! 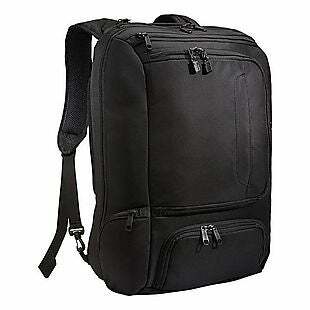 The backpack has a padded compartment for your laptop and a document slash pocket in the larger compartment. The exterior is made with full-grain leather. Sales tax is charged in most states. This eBags Kayla Underseat Luggage lists at $139.99, but you can get it for $64.99 when you follow our exclusive link to eBags. Shipping is free. That's the best price we can find anywhere by about $5. This luggage has a divider pocket, organizer pockets, and a padded phone pocket. It also has a built-in USB outlet, so you can charge your phone while you travel. Choose from four colors. Note that you'll need to provide your own spare power supply. Sales tax is charged in most states. 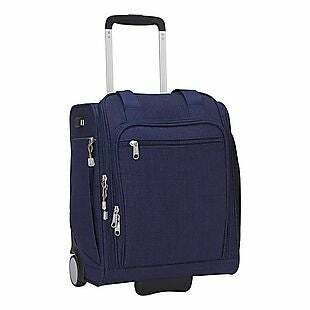 This Samsonite Advena Wheeled Underseat Carry-On lists at $129.99, but you can get it for $69.99 when you use our exclusive link to eBags. Shipping is free. That's the best price we can find anywhere by about $5. The carry-on has an aluminum upright handle and multiple pockets. You can store it under the seat in front of you or in the overhead bin on most flights. Sales tax is charged in most states. BradsDeals makes it easy, with the latest online eBags coupon codes that get you more backpacks, business cases and travel accessories for less. 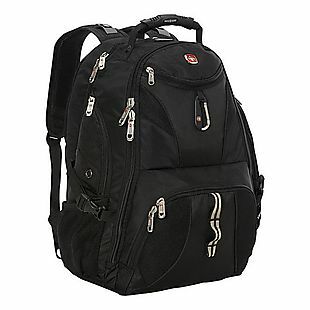 Check out the amazing online eBags deals every time you shop for name brand items from JanSport, Perlina and Eastpak. EBags offers a variety of bags from some of the best names in the business, all at discounted prices. You can even get eBags coupons for designer labels from Kate Spade, Linea Pelle and Cole Haan, as well. They also carry their own line of totes, backpacks and even toiletry kits. ebags is a prime resource for the traveler, whether you’re going on a business trip, a weekend getaway, or just across town. Shop online and use eBags coupons to save even more. 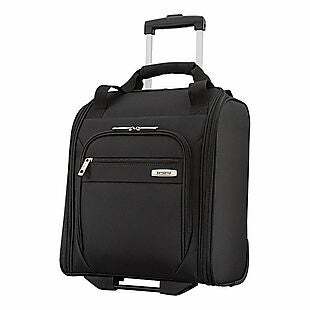 BradsDeals has the eBags coupons you need to keep you traveling in style.